OK, I can't take it anymore so I have to speak out. Facebook brings too many things to my attention that I would rather not see, such as repeated ads for "Original Krav Maga". There are people who collect originals; original Coca Cola bottles from the 1930's, original coins issued a hundred years ago, original models of collectible cars, vintage items etc. Nostalgia, memorabilia, a baseball hit by Mickey Mantle; it is all great. But does anyone really want original martial arts? Does anyone really want to know what was taught decades ago? Perhaps doctors should study "Original" medicine as practiced by the doctors of Louis the 14th, or be treated as Benjamin Franklin and George Washington were treated for their pains and ailments back in the day. Does anyone want to use an original phone that required first dialing an operator and stating what number you wanted? Try selling that to a local teenager. 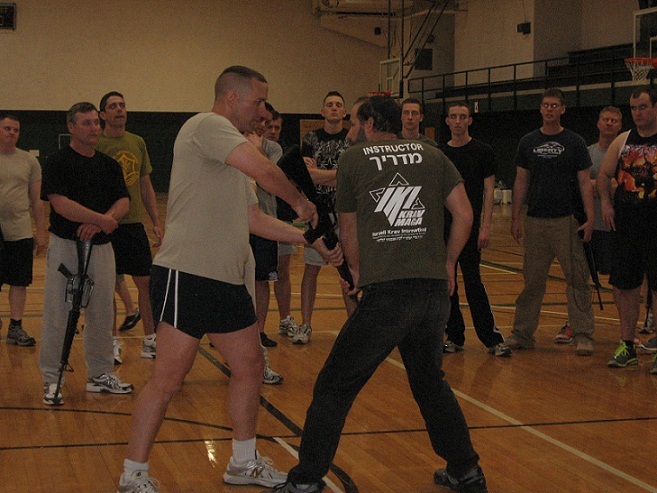 So why are people hawking "Original Krav Maga" as taught by a man long since gone? With all due respect the whole point of Krav Maga is survival, and always seeking newer and better ways to do do. The Israeli army does not fight wars today as they did back in the 1960's (when this particular evolution of Krav Maga developed, after Krav Maga had already been developing for nearly one hundred years, see History of Krav Maga). Why don't we see today's fighter pilots training like the aces of World War Two trained? In World War Two many European armies were criticized for fighting WW2 with tactics and equipment from WW1, and guess what? They were clobbered by the Germans who were not using "original" equipment or tactics but new and improved methods. Say what you will about the Germans but they knew how to fight! After every terrorist incident in Israel our experts do an "evaluation", they analyze the event and the response and try to "learn lessons", there are no calls for "original anti-terrorist tactics". So, with all due respect, and I know I have ruffled a few feathers here, why on earth should Krav Maga remain static? Why should we use yesterdays tactics when we do not do so in any other sphere of life? Why? And our lives depend on it. IKI Tour and Train in Israel. 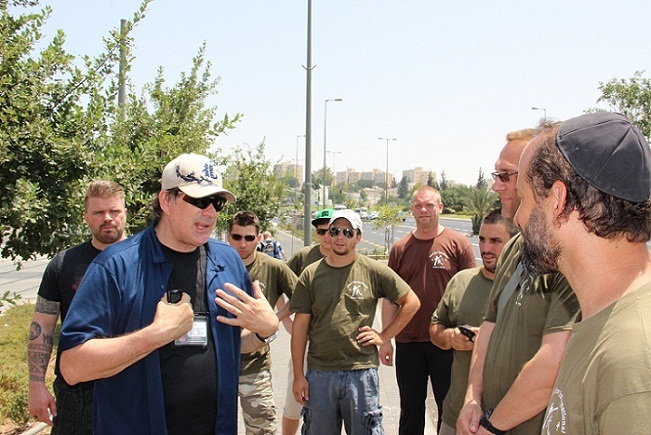 Frank Dux with members of IKI Tour and Train in Israel. 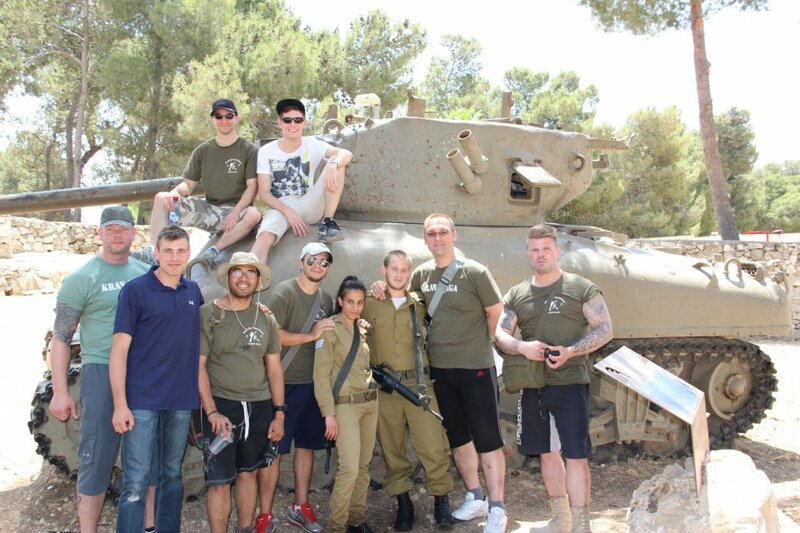 Members of IKI Tour and Train with Israeli soldiers, Ammunition Hill, Jerusalem. Register for Tour and Train. Invite Moshe Katz to your country and experience today's Krav Maga. Moshe has taught seminars for civilians and law enforcement all over the world. Moshe Katz teaching US Special Forces. Krav On Line - Get the latest techniques from Israel directly to your computer. We send out hundreds of clips per year, and you can request any technique or situation you like.